Best for: People who enjoy her style of writing, I’m guessing. In a nutshell: Istina is mentally ill and being ‘treated’ at an in-patient facility. For nine years. Why I chose it: I’ve been having a hell of a time finding a book for the “Birthday” BINGO square. I kind of wish I’d kept looking. 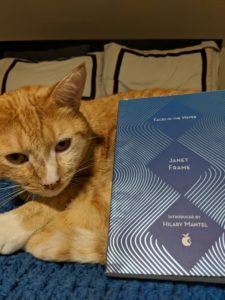 I’d not heard of Ms. Frame prior to picking up this novel, but she is a much-celebrated author from New Zealand. If this book is representative of her work, then I can definitely not count myself as a fan. The book follows Istina from one in-patient facility to another and back again, seeing it through her eyes as she deals with hallucinations, being moved to different wards without understanding why, being given ECT, and being scheduled for a lobotomy. There are moment in this book that are so frustrating, such as when Istina describes the nurses ‘caring’ for patients who are in an especially challenging situation, as instigating fights just to see what the patients will do. Treating them as zoo animals or, perhaps more aptly, fighting dogs. It’s also so sad, but unsurprising, to read of the doctors who make only the occasional appearance in the lives of the patients. No one is really getting therapy or treatment — they are just housed like cattle, kept away from the rest of society without getting much beyond food and shelter. This is a novel, but it is likely pulled from Ms. Frame’s own life, as she entered in-patient treatment multiple times over nearly a decade, even publishing her first book while a patient. So I cannot speak to whether this is an amazing example of writing about what it is like as a patient with mental illness, but I can say that it was challenging to read. Ms. Frame (or perhaps Istina?) seems to abhor the comma, so sentences at times wander. Again, I couldn’t tell if this was an affect of the main character or if this is just how Ms. Frame writes. If it’s the former, I’m sure it serves a literary function; if it’s the later, it just seems pretentious. 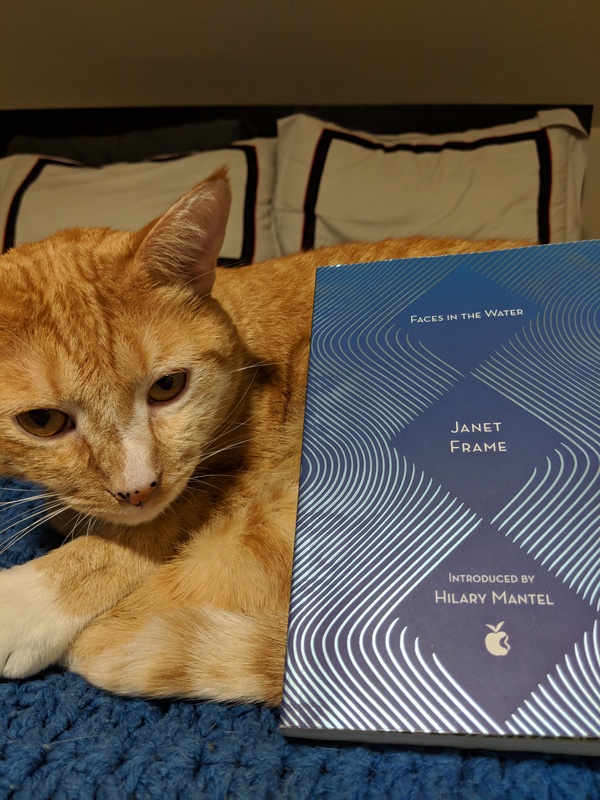 Obviously Ms. Frame was a celebrated author, so I can’t say that this is a BAD book. It is just not one I enjoyed, nor is it one I would recommend.